KUNC is a member of Harvest Public Media, a public media collaboration focused on issues of food, fuel and ﬁeld. Based at KCUR in Kansas City, Harvest is comprised of an expanding network of reporters and partner stations throughout the Midwest. Global demand for food and fuel is rising, and competition for resources has widespread ramiﬁcations. We all eat, so we all have a stake in how our food is produced. Our goal is to provide in-depth and unbiased reporting on things like climate change, food safety, biofuel production, animal welfare, water quality and sustainability. Harvest Public Media is edited by Erica Hunzinger. The U.S. Senate approved a new comprehensive farm bill Monday, its plan for everything from food and nutrition assistance to disaster aid for livestock producers to crop insurance for farmers. Mark Kenney and his family lived through the farm crisis of the 1980s, when the bottom dropped out of the U.S. economy and collapsing global food markets forced many farmers out of business. Visitors to the Smithsonian Institution’s National Museum of American History in Washington, D.C. only get small glimpses of farming, such as a mural display of immigrant farmworkers planting crops in a 19th century California town. Will Chinese Firm Bring Home The Bacon With Smithfield Deal? 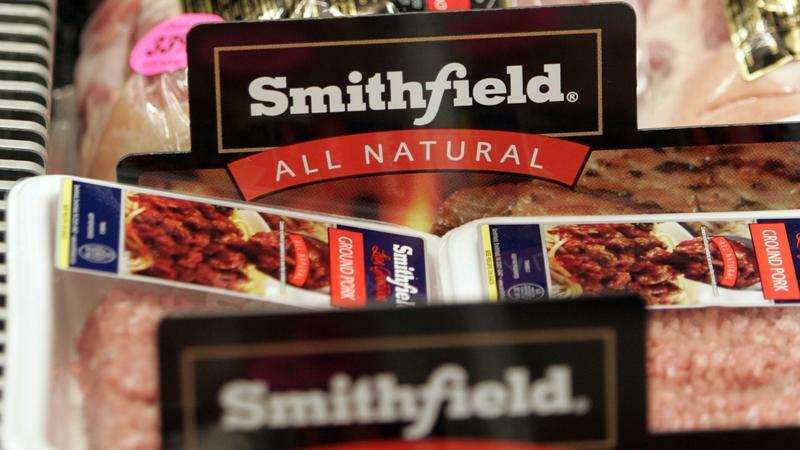 There were questions Wednesday about whether U.S. regulators will approve the takeover of Smithfield Foods Inc., the company that sells all-American hams, hot dogs and bacon, by China's Shuanghui International. Protesters gathered in cities across the country Saturday to protest seed giant, Monsanto, and the prevalence of genetically modified foods. The local food movement has a powerful new poster girl. 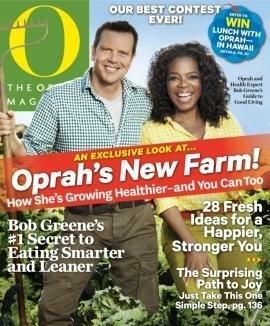 More glowing than American Gothic, Oprah Winfrey and her pal, Bob Greene, appear on the cover of the June issue of The Oprah Magazine, standing in what looks to be a field of kale. "Oprah's New Farm!" reads the headline splashed across the pair's checkered shirts. "How She's Growing Healthier — and You Can Too." In the small town of Staunton, Ill., the new $9 million water plant is a welcome addition. After all, when the 80-year-old facility it replaces seized up last year, the community’s 5,000 residents were without water for five days. How does a new craft brewer stand apart from the pack? A few have hitched their brewery onto the local food bandwagon. Sourcing the ingredients that form beer’s DNA straight from the fields around them. For 27 years the popular Conservation Reserve Program has transformed small parcels of land, contributing to cleaner water, more habitat for migrating birds and less soil erosion. Drive into the small southeastern Colorado community of Rocky Ford and it’s clear the very character of the town is tied to cantaloupe.